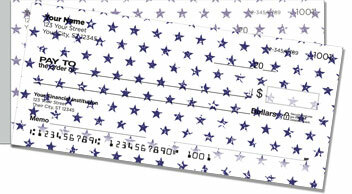 Give your checkbook a patriotic makeover with this all-American set of personal checks! These aren't your typical red, white and blue U.S. flag checks. We took the liberty of using some artistic freedom and did a bit of a redesign on Old Glory. After all...what's more American than liberty and freedom? We think Betsy Ross would approve! 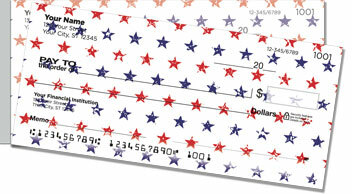 Stars and Stripes Side Tear Checks are a creative way to show everyone you love the USA! Plus, you'll never fret about accidentally ripping a check in half when you pull it from your checkbook. 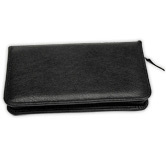 The side-tear option makes removal quick and easy! 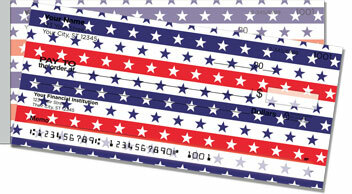 Order your very own Stars and Stripes Side Tear Checks now! 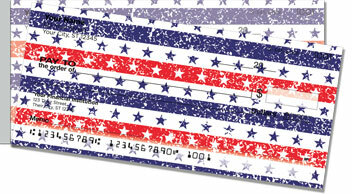 This and other patriotic selections can also be ordered with matching address labels.